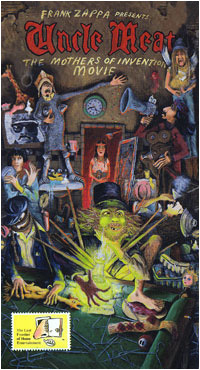 Uncle Meat is a film written and directed by Frank Zappa, released direct-to-video in 1987. Principal photography having never been completed, the videocassette is a "making of" documentary showing rehearsals and background footage from 1968 and interviews with people involved with the uncompleted production. The video has not yet been released on DVD. This page was last edited on 9 February 2019, at 08:11 (UTC).